Practice usually consists of warm-ups followed by varied instruction for beginning, intermediate, and advanced fencers. Beginners usually start with classical foil. 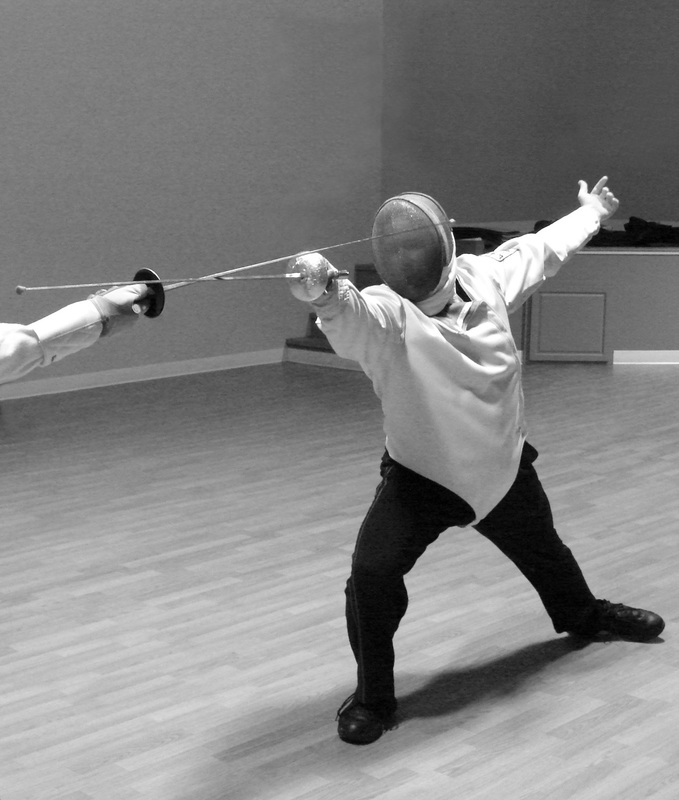 Intermediate and advanced fencers may choose instruction in another weapon such as smallsword or sabre when offered. Instruction is presented by Patrick T. Morgan, CCF’s head instructor, and Chris O’Keefe, assistant instructor. Scott Wright instructs smallsword and assists Patrick and Chris as needed. Please Contact Us if you have questions or plan to visit. Visitors who arrange visits during the first Saturday of the month will typically see club members engaged in judged bouts of various weapons. Patrick is instructing la canne. $35/month due the first Thursday night of each month. Would like to visit with my 8 yo son, who’s interested in fencing lessons. Would this be able to be arranged? Is he old enough to start classes?